I will be at the Fachgruppe Magnetische Resonance (FGMR) Meeting in Berlin, September 29th - October 2nd, and at the one-day meeting 'Progress in DNP' September 29th. 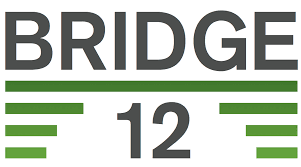 If you would like to know about our products such as gyrotrons for DNP, frequency measurement systems, calorimetric power loads or corrugated transmission lines, or generally want to chat about DNP-NMR feel free to pull me aside or contact me at tmaly@bridge12.com. For more information about the FGMR meeting visit the conference website.